Trade beads are highly prized by collectors. I have an addiction to beads. Mostly tiny beads made of glass that are about the size of a flower seed. These so-called seed beads can be sewn onto (or around) a surface to create intricate designs. How bad is the allure of these miniature silica wonders? Well, like the title says…I’ve got a million tiny beads. Actually I’ve got four million and counting. Honest. 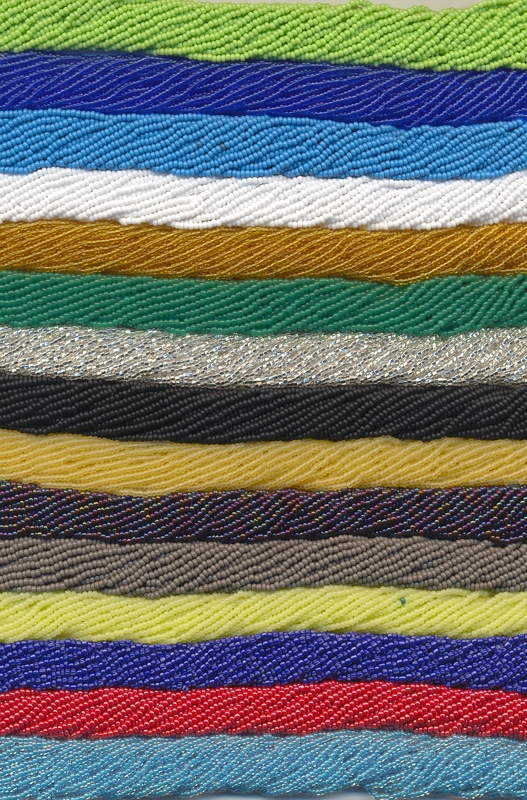 Seed beads have many colors/finishes. They last forever and it’s not like they go bad. No spoilage, and they never fall out of style either. Some colors are unique, appearing for a short time and then never being produced again, so those become highly desirable. Sizes vary. Depending on the project, the smaller the scale of bead usually translates into finer more decorative work. Some of the tiniest microbeads from the turn of the twentieth century were so small they rival the size of sugar grains. Needles won’t go through most of them, so each must be strung by hand. Some people use human hair because threads are too thick. 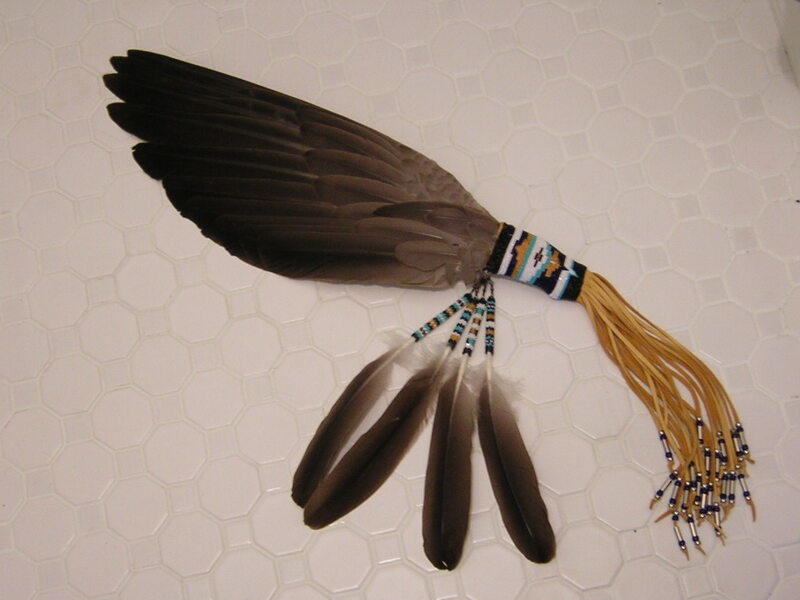 Canadian goose wingfan with beaded drop feathers. I’ve collected from countless places. Buying beads is a part of each vacation and every visit to a new place. I prefer my seed beads to originate from the old Czech Republic, but the new ones are good too. Beads from Italy, France, Belgium, Austria, and Russia are also excellent, as are those from China, Japan and Korea. There are no bad beads. Larger beads are welcome too, though in much smaller quantities because I don’t use them as much. I’ve got beads made of stone, bone, shell, wood, and even lava rock. Beads are beautiful things, tiny carvings that link us to the history of the world. So why do I mention this? We all have our obsessions and some of them might be worth passing along to our fictional characters. Writers are always on the lookout for some new tidbit to throw into the mix, the things that inspire and motivate us on a personal level are fun to include. But really…I just want to talk about beads. Such lovely small bits of bright color. They feel good sliding through the fingers, glitter when the light catches them just so, and they tell stories all their own. Beads are collectible too. 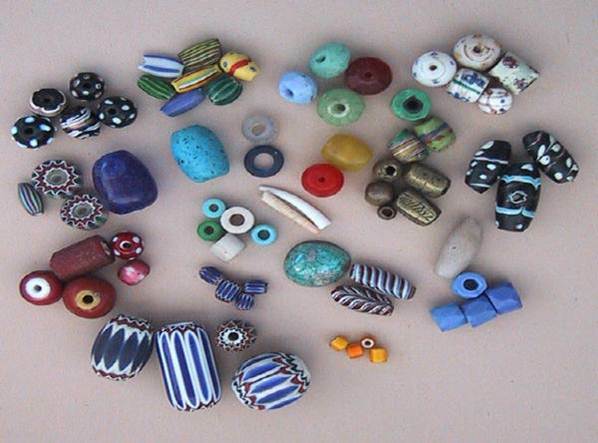 Some of the oldest art objects on the planet include beads. Their origins stretch way back in time and encompass global cultures, mark trade routes, even define moments in history. 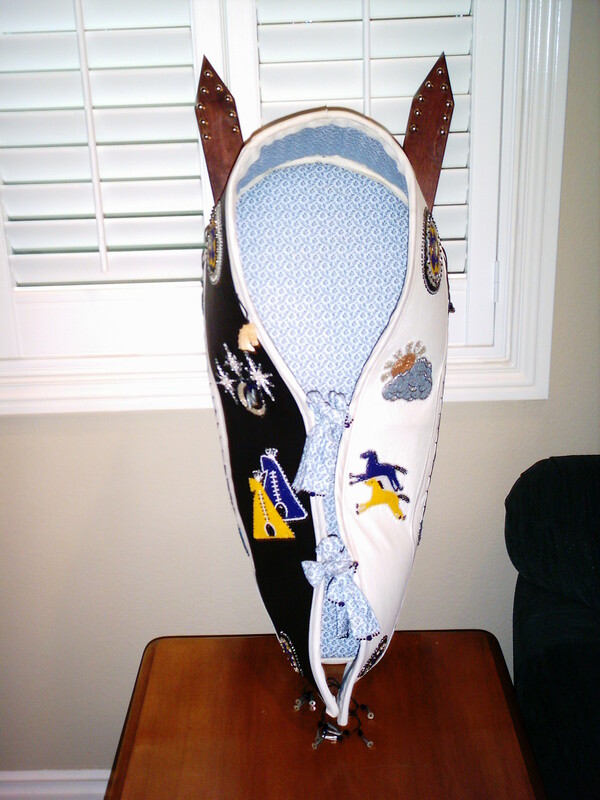 Most anything can be beaded. Take a look around, you might be surprised how many beads feature in your environment. 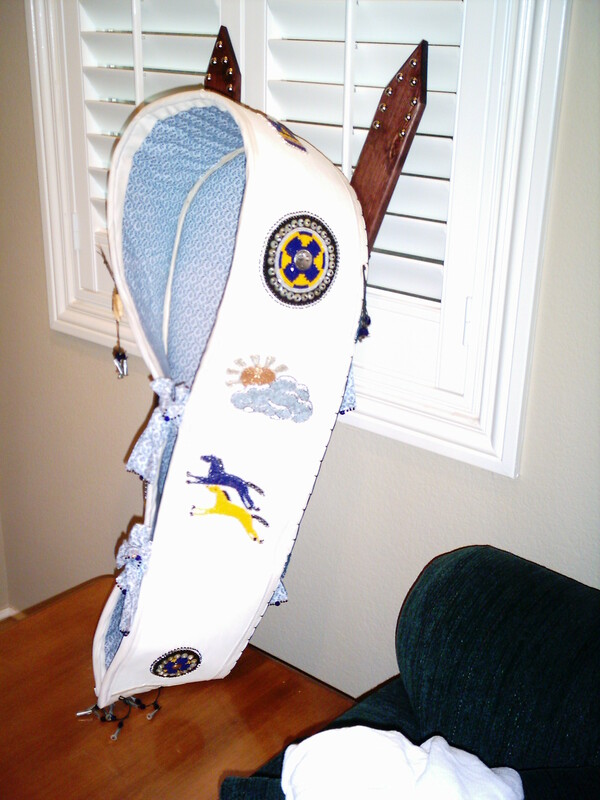 They get stitched onto clothing, attached as trim to household linens and drapes, even show up as decorative elements on accessories. If your interest is piqued, Lois Sherr Dubin has a wonderful book called The History of Beads. This is a thoroughly researched treatise that covers 100,000 years of bead production. The predecessor volume only presented information on the last 30,000 years but is also great. Both feature gorgeous photos. 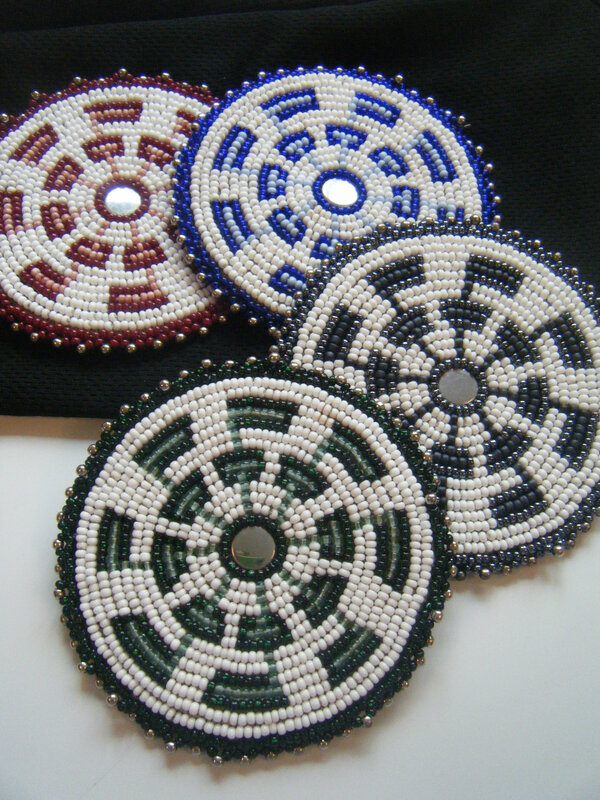 Robert Liu’s Collectible Beads is also an amazing resource if you’re interested in beads and history. 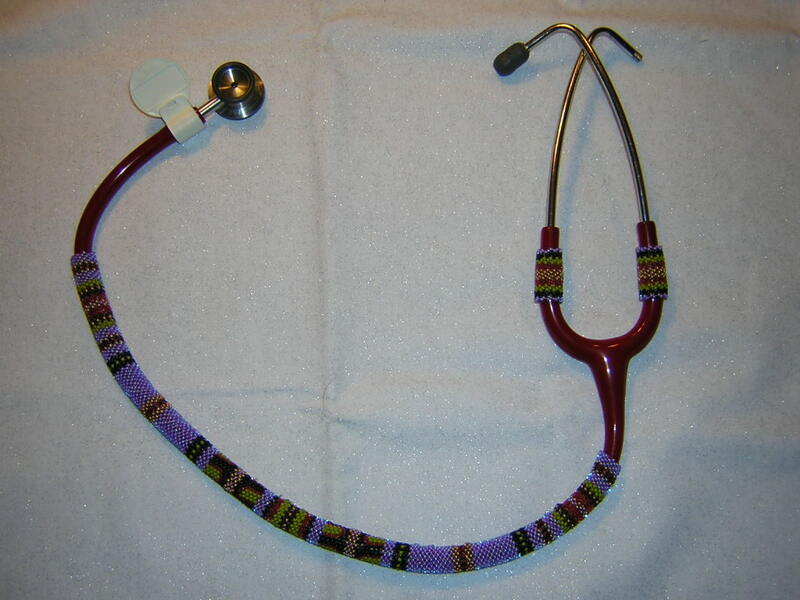 There are dozens of others books about how to collect and differentiate types, assess and assign value to older beads, and of course, do various styles of bead stitching and embroidery. It’s an artistic tradition deeply rooted in cultures around the globe. So share the gory truth…what obsessions do you have? Is there something you collect in ridiculous quantities, hoard without shame? Anybody ever suggest you needed to get a better grip on the urge to acquire? This entry was posted on April 5, 2012, 3:00 am and is filed under Art & Artists. You can follow any responses to this entry through RSS 2.0. You can leave a response, or trackback from your own site. Are those your creations in the pictures? Do you have any close up of the bead work? It looks beautiful. Containment is important. *laughing* Fortunately beads are small so storage is pretty simple and I’ve got it down pretty well at this point. 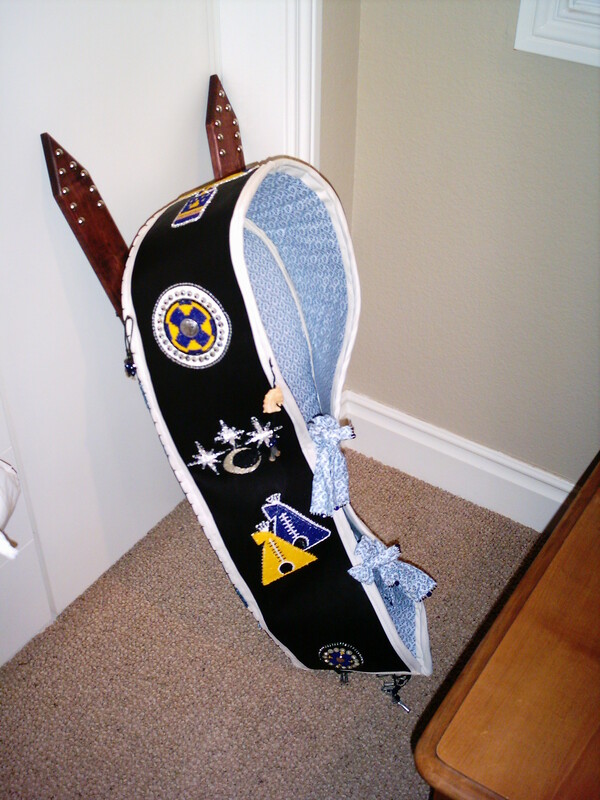 Those are my creations, I’ve got a closeup of a rosette someplace (here it is) so you can see some of the details. I read a series many years ago where one of the supporting characters practiced bonsai and the main POV drew on her observations of his work in deducing clues and things. That stayed with me because it was such an interesting note. Your rosette is beautiful, Leslie. I can see how such detailed work trains you for the necessary detail work in fiction. This is a neat hobby. I like the Canadian goose feather fan. It’s pretty.